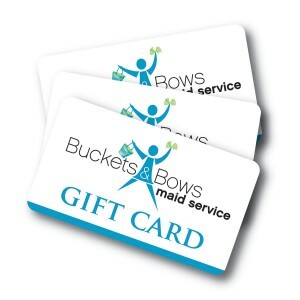 At Buckets & Bows Maid Service, we are proud to offer training to cleaning service business owners from all over the world. Our president and founder, Debbie Sardone, has a global consulting business, and has trained hundreds of service business owners. She recently held a one day, intense training camp at the Buckets & Bows Maid Service office in Lewisville. Cleaning business owners flew in from California, Pennsylvania, Illinois, North Carolina, Louisiana, Georgia, Florida, and Virginia to learn new ways to train their staff, improve their quality, and grow their business to the next level. Owner’s spent time “in the field” with our lead Training Managers getting hands-on instruction in the Speed Cleaning method which insures quality, consistency, and efficiency. Next they participated in a live demonstration of the in-home estimate process. Then back to the office where owners split up and spent time with Lora on scheduling jobs and accommodating customer changes, and time with Petra learning more about phone sales and knock-your-socks-off customer service. Then they visited with our office manager Carla, and our payroll specialist, Sharon. After lunch we enjoyed a much-needed “pick-me-up” with Lattes On Location. Barb Granados treated us to her amazing mobile service of fabulous lattes and scones! Then finally, at the end of a long day of training, we wrapped up with a dinner party at the Sardone home in Flower Mound, catered by, none other than our favorite Flower Mound spot, Salerno’s Italian Restaurant! We also toured the Cleaning For A Reason offices and the companies that were already partners took home some goodies for their staff. Those business owners who were not Cleaning For A Reason partners left with information about joining! Want to view more photos of our event? CLICK HERE! I’ve been viewing your videos on you tube and am very impressed with how you train and share tips on how to start a successful cleaning business. I live in New York City and would be interested in attending one of your field trips. I would like my husband to come with me. Would you be having one in the Fall this year? I cannot make it to the one on June 24th. I’m very interested to learn more on how to manage a cleaning business. They did an amazing job on cleaning my home on our move out! What’s the difference in price for house cleaning services?